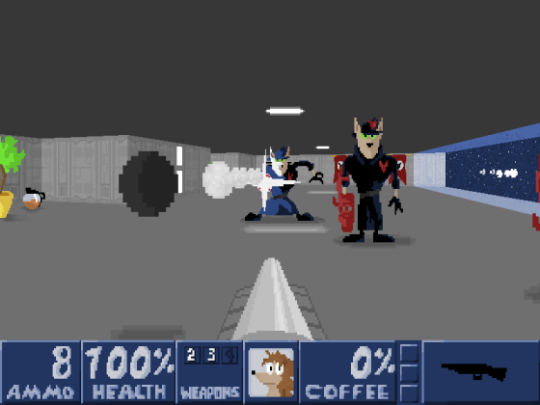 "Shadow Of The Wool Ball" is a first person shooter similiar to Wolfenstein 3D or Doom, though a lot less gory. You take the role of hedgehog Scott, who has to save his girlfriend from the clutches of an evil empire of space kittys that has enslaved his entire home planet. 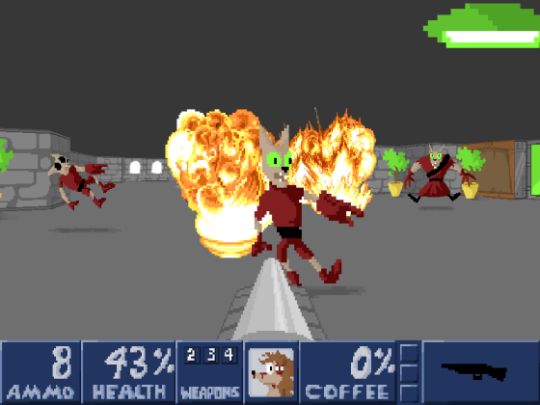 The game contains 18 levels, split up into three episodes. Experience oldschool and horribly outdated 3D FPS-action with mean enemies! Retro-looking and always-changing environments! Dark bunkers and/or spaceships? SOTWB got it! The creation of “Shadow Of The Wool Ball” began sometime in early 2012, when I was 18. 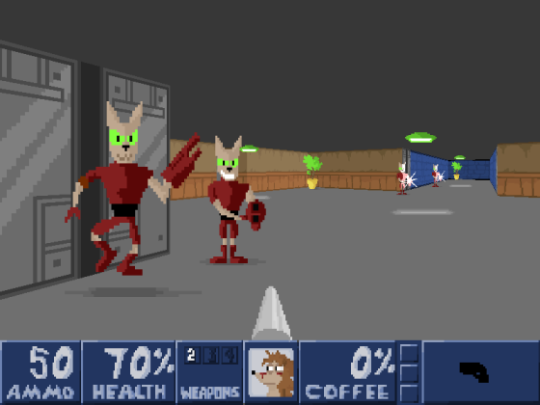 I had fun fiddling around with the Doom engine during that time and was impressed by how many crazy things one could do with such a dated technology. …and to be honest, I had no idea what I was doing during production! I started drawing enemy sprites and wall textures to test out some ideas I had for a retro game, without even knowing what the story was supposed to be about. I just put together a lot of things that I thought were kind of fun and connected it all with a dumb little story. Some of the music tracks were actually older selfmade midi songs that I more or less recycled, while quite a few tracks were also specially written for the game. The game was left unfinished for three years… phew, good thing I remembered it decaying somewhere on my hard drive in 2016! So I randomly decided to finish it all with most of the stuff I already made and cut out the things I planned, but felt unnecessary. Fueled by lots of coffee and punk, I completed it and threw it out to the internet people. Never thought the reception would have been SO postive.